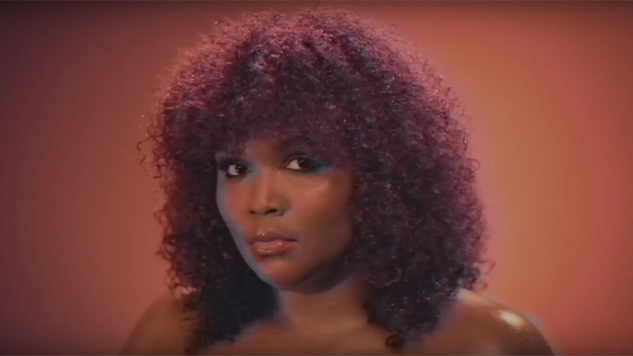 Listen to Lizzo's New Song, "Juice"
Lizzo is celebrating the new year with a new song “Juice,” along with an accompanying music video. The song is Lizzo’s fourth in a string of singles, including “Boys,” “Fitness,” and “Truth Hurts.” Its release follows the Coachella lineup announcement, which revealed Lizzo will be performing at the Indio, Calif., festival on Sunday April 14 and 21. The “Juice” video, directed by Quinn Wilson, finds Lizzo performing across various staples of late-night television: talk shows, exercise videos, beauty auctions and cheesy infomercials alike. Watch the video, along with Lizzo’s 2016 Daytrotter Session, below. You can stream “Juice” via your platform of choice here and find out where Lizzo’s previous single “Boys” landed on our list of 2018’s best songs right here.